I love this soup, I love it even more, because of its beautiful dense color. The flavor is naturally sweet, fresh and very delicate. I made two versions, one with a poached egg, and one with a yogurt cream with chopped mint. They’re equally delicious and nutritious. 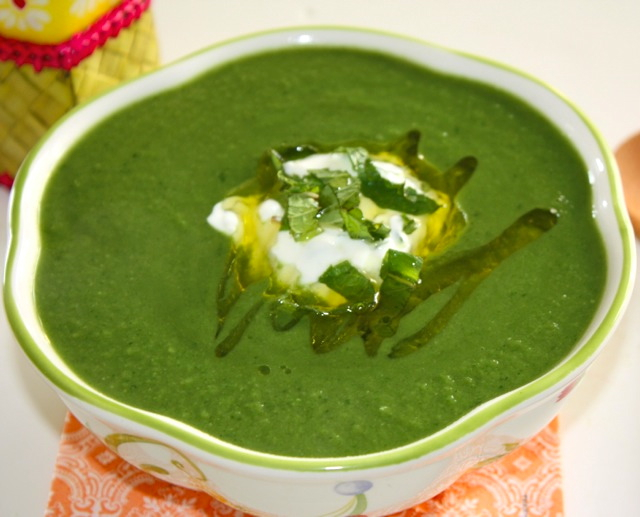 This soup is quick to make, the peas don’t need to cook for a long time to keep their flavor and color, so here we have a quick and delicious soup. The picture with the poached egg is a bit off, the egg got a little messy. In a large pot, heat olive oil, add onions and soften them. Add peas, stir and cook for about 1 minute, then add broth. Cook for about 15-20 minutes, then add spinach and mint. Cook for an additional 5 minutes. Adjust with salt and pepper. Blend soup to obtain a smooth mixture. 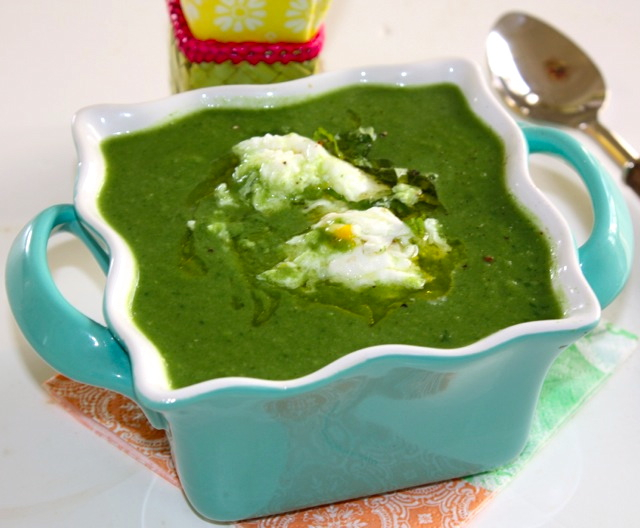 Poach egg and add to the soup or mix yogurt with some chopped mint and add ti the soup. This entry was posted by silvia on February 1, 2014 at 3:07 am, and is filed under Soups. Follow any responses to this post through RSS 2.0.You can leave a response or trackback from your own site.